Facebook has added a transportation service to its Messenger product, and secured Uber as its first partner. 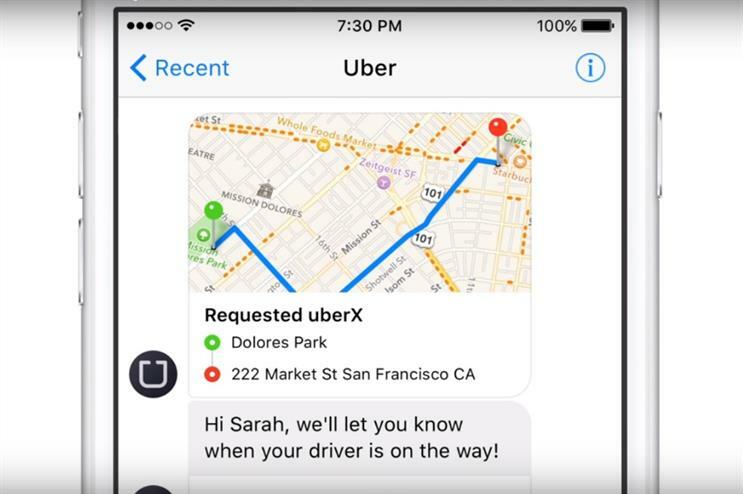 The new development enables users to request a ride with Uber by accessing their Facebook Messenger account, eliminating the need to download another app or leave an existing instant conversation to book a car. The service is compatible with the latest version of Messenger. Individuals are required to select the ‘more’ menu, at which point the ‘Transportation’ option will appear. They are then able to tap on a car icon to request a ride, at which point they will receive driver status updates, as well as pay for the service via Messenger. The service is currently in trial phase, however there are plans to roll it out globally, and Facebook hopes to secure additional transportation partners. On the company's online newsroom Seth Rosenburg, product manager at Facebook said: "Whether you’re meeting friends for lunch, on your way to a concert, or running late for work, Messenger and our partners can get you to your destination faster." He added: "With the ability to request, track and pay for a ride in Messenger, we’re making transportation as simple as sending a message." Last week the car service brand launched UberTrees, which saw select indviduals who requested a Christmas tree via the Uber app receive a Fir tree to their door for £10.